A banjo auction on eBay earlier this month benefitted The NAMM Foundation and it’s mission to advance music in schools on a local, state and national level. Deering Banjos created a one-of-a-kind “California Goodtime Charity Banjo,” in honor of folk-acoustic band Mumford & Sons’ recent concert in San Diego. 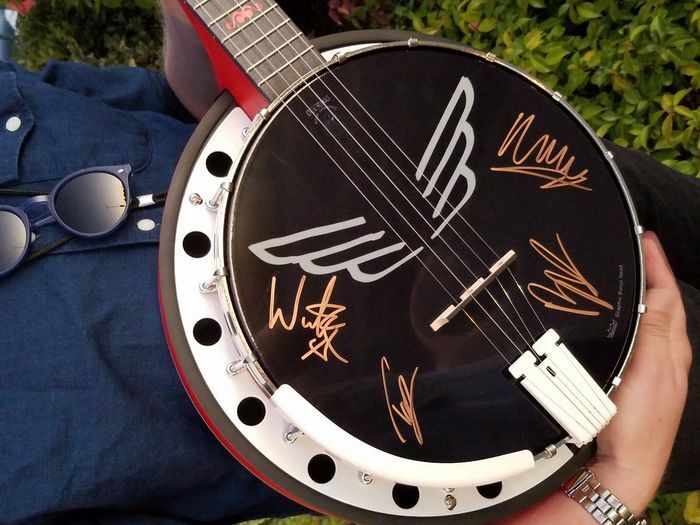 The banjo was signed by the band and raised $3,100. Since 2007, through the support of NAMM members the NAMM Foundation has contributed nearly $15 million to fund programs impacting people across a broad range of musical segments, genres and age demographics. While we have made great strides in helping people make more music, more often, we want to do more and with our new Believe in Music fund and your support we can. Together we can do more. Help us bring the gift of music making into someone’s life by making a donation today.